You will love these crispy, delicious cauliflower pancakes! They are low carb and keto, and contain no flour. 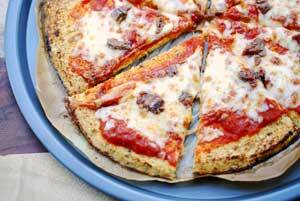 The idea for cauliflower pancakes occurred to me the last time I made cauliflower pizza crust. I was watching the magic of the cauliflower crust coming together in the oven. Suddenly I thought that I could use the same recipe to make cauliflower pancakes that do not require pre-cooking the cauliflower. We all loved the result – golden, delicious, delicate cauliflower pancakes. Like all fried foods, there’s something crispy and addictive about them. But at least these are healthy! I keep these cauliflower pancakes keto and gluten-free by not using any flour in the mixture. Making them does require patience and a gentle hand. So if you lack patience, and don’t mind grains/gluten, you could try adding 2 tablespoons of all-purpose flour to the mixture to make it a bit sturdier. I like to fry these cauliflower pancakes in olive oil. But if you prefer, I’m sure that butter would be wonderful too. As you know, grass-fed butter is actually good for you. How to season these cauliflower pancakes? I season them simply, with salt, pepper and garlic powder. You can certainly add more seasonings if you’d like. Perhaps add 1/2 teaspoon onion powder and 1/2 teaspoon dried thyme. Both would complement this dish well. You can serve these as a tasty side dish. They go with so many main courses! I often serve them with parmesan crusted chicken and with oven baked chicken legs. Or serve these cauliflower pancakes with a couple of fried eggs and a salad for a delicious meatless dinner. They’re extra delicious when topped with a dollop of sour cream. If you happen to have any leftovers, they keep well in the fridge, in a sealed container, for 3-4 days. They taste great when gently reheated in the microwave on 50% power, or even cold. I sometimes grab one for a quick snack, and eat it straight out of the fridge! You will love these crispy, delicious cauliflower pancakes. They are low carb and keto, and contain no flour. 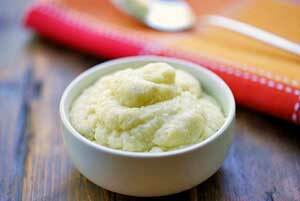 In a medium bowl, mix the riced cauliflower, eggs, mozzarella, Parmesan, garlic powder, salt and pepper. Heat 1 tablespoon of the oil in a large skillet, over medium heat, about 4 minutes. Measure 1/4 measuring cup per pancake, flattening them thin with the back of a spoon after placing in the skillet. Fry the pancakes over medium heat (not higher) about 5 minutes, until the underside has formed a sturdy, golden-brown crust. Be patient – if you flip them too soon, they will fall apart. Carefully flip to the other side, and fry 5 more minutes, or until golden-brown on both sides and sturdy enough to lift off the skillet. Repeat two more times, adding a tablespoon of olive oil before each batch. Keep the cooked cauliflower pancakes in the warm oven while you make more batches.